For the last several months we have been preparing for the big introduction of a new, amazing paint line to our paint studios: Amy Howard at Home One Step Chalk-Based Paint. 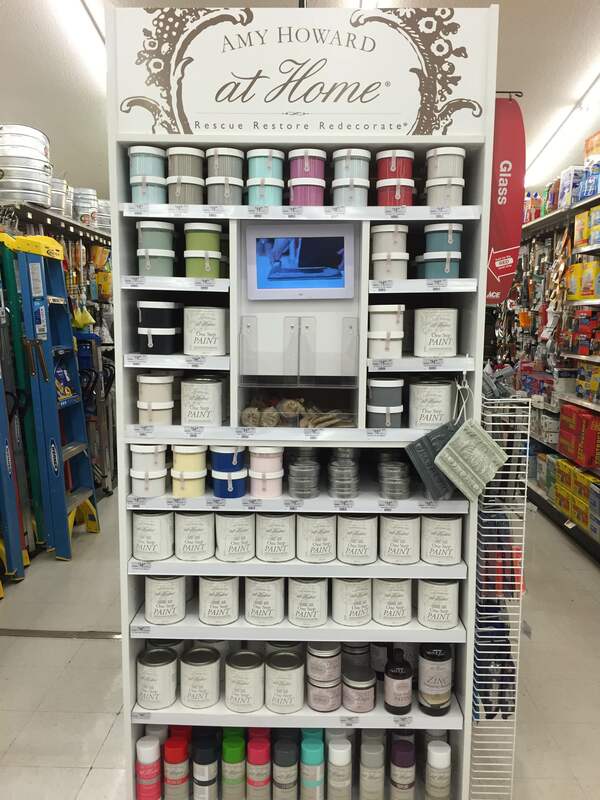 When I first heard about the paint line, way before we decided to order it, I went to her website and did some research on “chalk-based” paint because I had honestly never heard about it before. What IS it? What makes it different from regular paint? What is it for?? These are some of the questions I had, and I know you probably have the same questions. Let’s start with what it’s for (and no, it’s not to make chalk boards! )… it’s primarily for refinishing furniture. 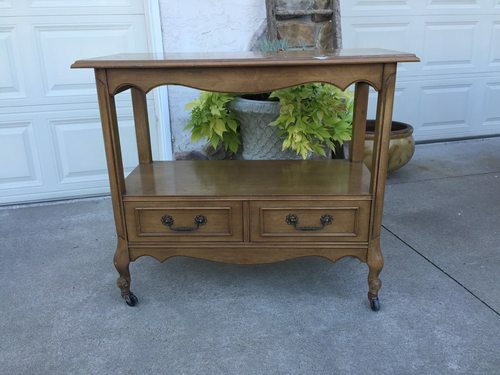 You know how you have that piece of furniture in your house that you’ve had for a couple decades or maybe it was passed down to you by your grandparents or you picked it up at the thrift store and it’s completely the wrong color/scratched up/ugly/whatever, it just needs to be refinished but you don’t want to do it because you’ll have to sand/strip/prime/stain/paint/seal it and that just seems like more effort than it’s worth?? This is where Amy Howard One Step Paint comes in and rescues that piece of furniture before you get so tired of it that it ends up in the trash pile. Beautiful! Like I said – no sanding, stripping, or priming! 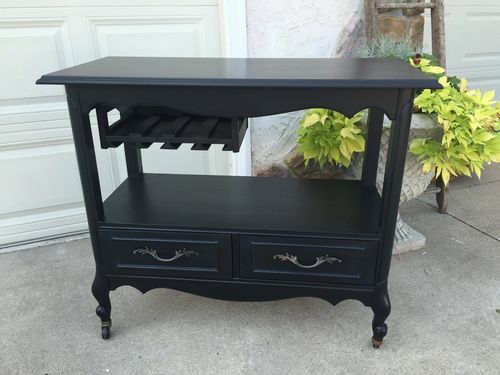 One Step Paint will adhere to practically anything – wood, both unfinished and with lacquer, polyurethane, or shellac, metal, plastic, glass, Formica, brick, fabric, and more! It is truly incredible. So what makes it different from using a regular, flat latex paint? Well like I said before, you do NOT have to sand, strip, or prime to get it to adhere like you would with latex paint! 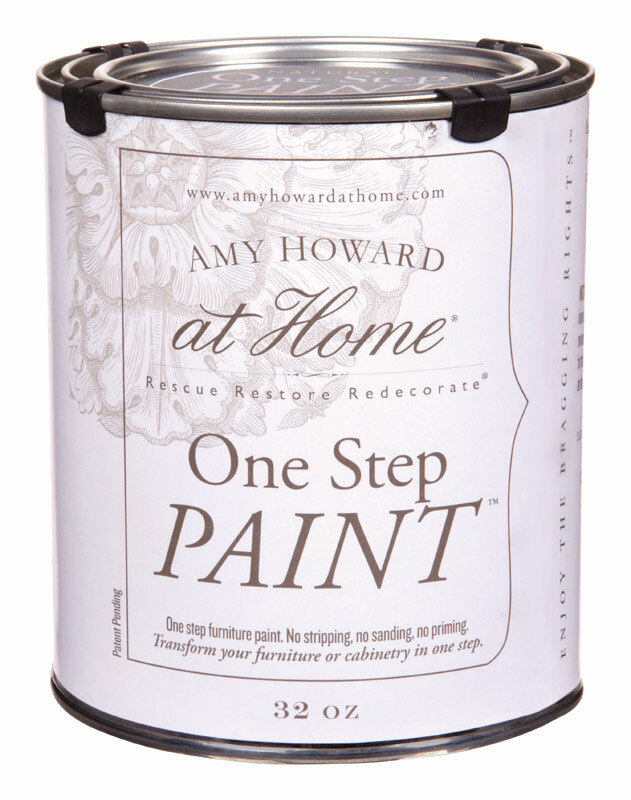 While you don’t have to seal latex paint, you also don’t have to seal One Step Paint. 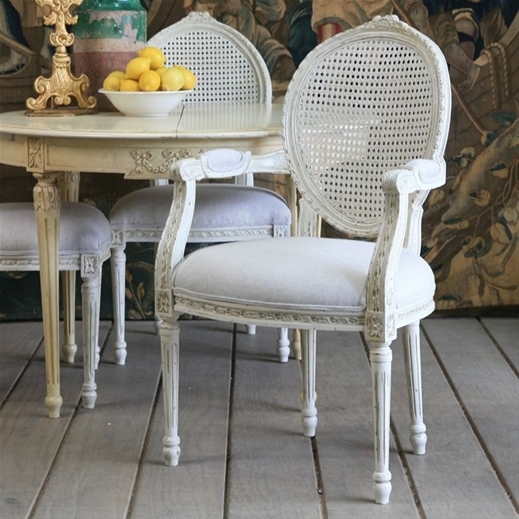 You can, however, use different waxes to “antique” your furniture to make it look more authentic, but you don’t have to. 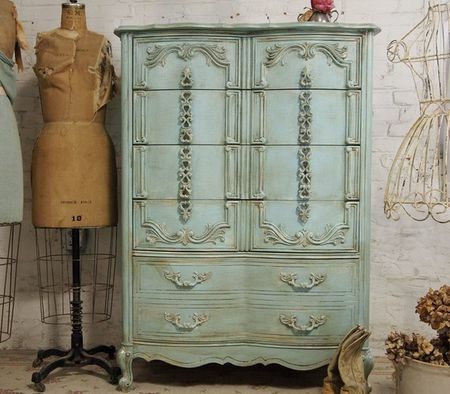 You can try to do this antiquing process with latex paint, but because it isn’t absorbent like chalk-based paint, all you will be doing is putting product on top of latex paint. With chalk-based paint, the waxes will actually be absorbed into the paint, creating that beautiful, authentic, antique finish. So after learning all this I was very interested in finding out more. 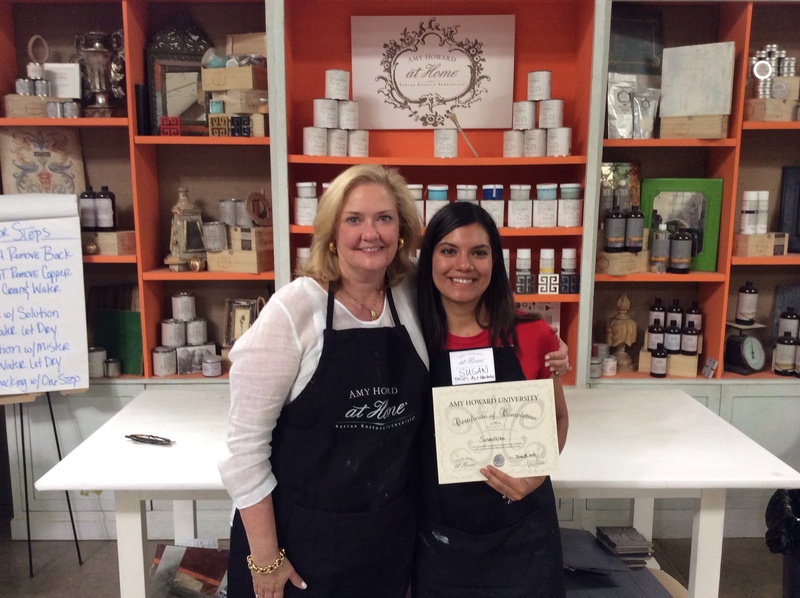 Several months after my research Ace announced to us that they had landed an exclusive partnership with Amy Howard I found myself on a plane to Memphis, Tennessee to meet Amy Howard herself and get to use almost her entire product line at her workshop for two entire days. I came back a true believer in her and her product. She is so incredibly passionate about crafting beautiful furniture, whether she’s building furniture herself or rescuing a piece, that she makes the process so much fun. I never thought that painting furniture could be so enjoyable and strangely relaxing until I was in her workshop listening to Italian opera and being creative. It was extremely gratifying when I looked at my different pieces and knew that I had made them beautiful. That was when I realized that Amy is right, that this is about so much more than making something old new again, it’s about “crafting a beautiful a life”. So I flew back down to Florida, we ordered product for all nine of our stores, did A LOT of training with our associates, and it’s here!! It’s here, it’s here, it’s here! And if you’re in the Winter Garden area, you can check out a couple of things I painted! 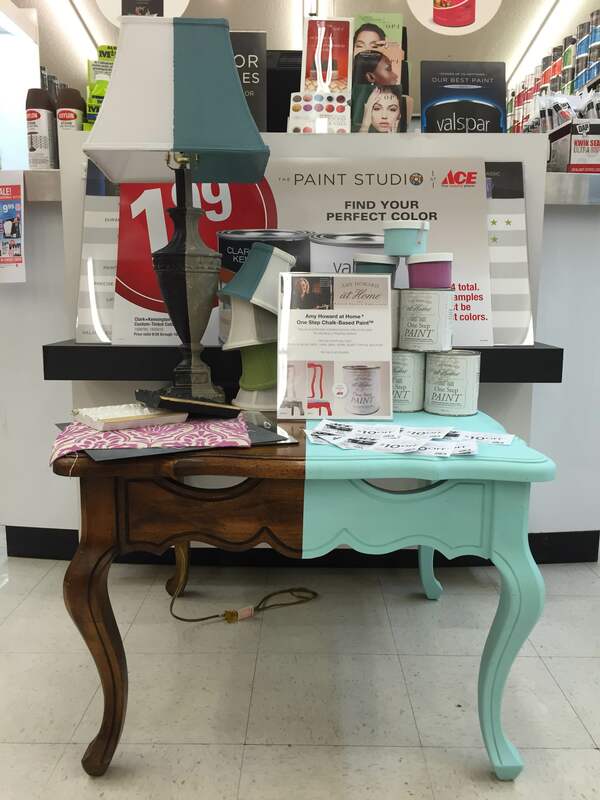 On Wednesday, October 28th, 2015 I’m going to post about how I painted that beautiful table I picked up for $15 at Habitat for Humanity, with pictures of each step! If you’d like more information, check out the video of Amy’s live workshop from Thursday. 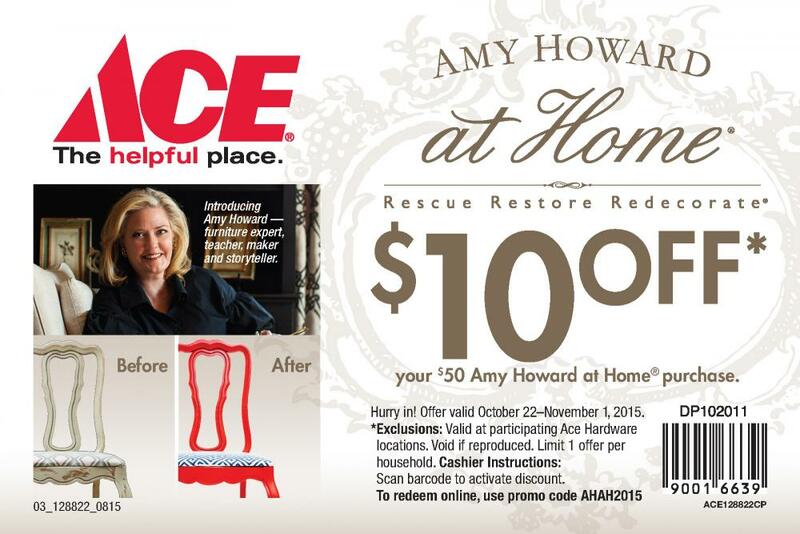 You can view her product line at acehardware.com/amyhoward. If you need more inspiration, Amy has an AMAZING Pinterest board and YouTube channel (with tutorial videos!). If you have any questions at all, please email me at toolesacehardware@gmail.com or give me a call at the store, 407-656-2593. 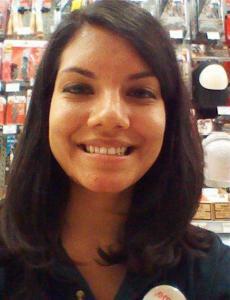 And if you’ve used her product, feel free to send me pictures! I would LOVE to see what you’ve done!